You are looking north from Nicollet Mall and 4th Street. 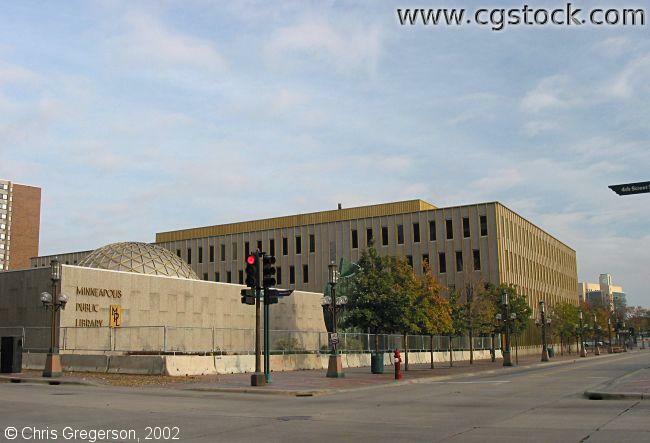 This is the central branch of the Minneapolis Public Library. It's fenced and barricaded in advance of being torn down. A new, larger facility will eventually replace it. The dome on the left belongs to the Planetarium.